A professional, knowledgeable and passionate team. Starting off from the Centre Pompidou. 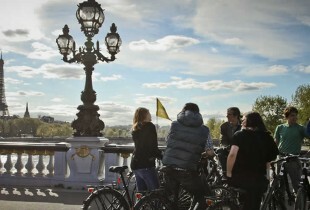 Visit Paris by bike – off the beaten path! Rediscovering the banks of the Seine by bike. Discover where all the Parisians like to go. Stories and history, entertaining and fun – that’s what our bike tours are all about. A dynamic and innovative team has developed the savoir-faire to provide the highest quality services. Explore hidden passageways and discover Paris by bicycle. Discover the centre of Paris and immerse yourself in the historic and fashionable Marais district. 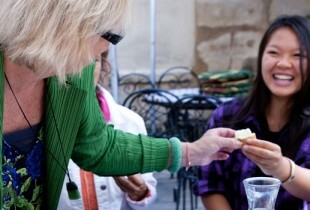 Uncover the Paris of the Parisians along with a food-tasting at the most typical Paris market. With more than 15 years of experience in Bike Tours, Event Planning and Team Building, Paris Bike Tour has the expertise to create and design the most original key in hand events. From our ‘Bicycle Rallies’ to our ‘Combo Tours’ all of our events are lead by the skill and passion of our professional Conference Guides. These tours/events successfully bring together history, stories and anecdotes in the most enjoyable, friendly and relaxing ambience. 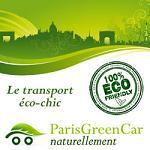 Departures are from our agency situated in the heart of Paris, two steps from the Centre Pompidou. But thanks to our dellivery service they are also available from the location of your choice in Paris and the surrounding area. 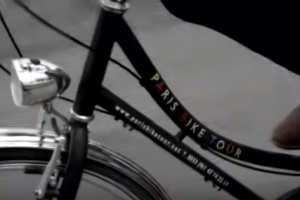 Our Paris Bike Tour Video is Here! 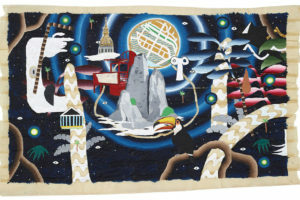 Thanks to our dedicated and passionate multilingual team we offer a wide selection of tours adapted to every taste benefitting from the expertise of our professional guides opening the door to discovering more: Montmartre, centre Georges Pompidou, Paris by Night, the Heart of Paris, and the waterfront of the Seine. Whatever your interests, take time in the city of love to admire the iconic Dame de fer (The Iron Lady) and the pont Alexandre III while immersing yourself in the charm of the Marais and Place des Vosges. 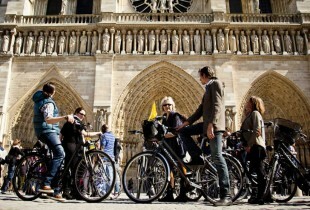 Seize the moment, live the culture and life of the city with Paris Bike Tour. 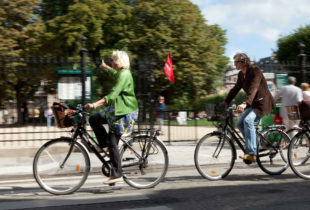 By bicycle, electric bike or on foot, support responsible tourism and enjoy a unique experience with our bike rental in Paris. 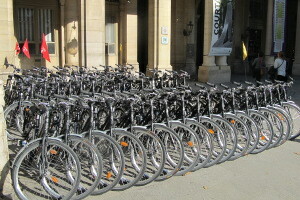 Paris Bike Tour also offers bike rental. Our bicycles are lightweight and comfortable, the best way to get around the French capital, allowing you quick and easy access to all parts of the city. There’s too much to explore in Paris. But before you park your bike and descend to the Catacombs, go on two wheels and discover all the secret passageways from the Arène de Lutèce to the Louvre pyramid. No matter how short or how long your stay there’s no better way to experience the City of Light. Visit our web-page to for more details on the offer that best suits your needs. 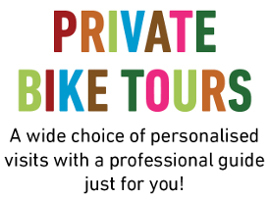 Available throughout Paris and the surrounding area our wide variety of outings by bicycle designed for team-building and incentive training are ideal for stimulating group cohesion and cooperation (theme-based tours, rallies, challenges…). Relax and let us take care of the details. We’ll provide you with everything to develop and hone team skills, take initiative and be creative. Our logistical skills and flexibility offer made-to-measure tours/events responding to a wide range of needs and objectives. It’s the most enjoyable learning experience. Nothing will be overlooked as you learn and build skills while being charmed by the most famous city in the world: Paris.